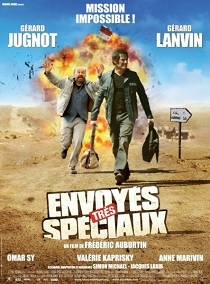 The original 2009 French feature comedy, Envoyés Très Speciaux, was about two journalists stranded in Paris pretending to report from the Iraq War front. The remake, Special Correspondents, to be shot next spring in New York and Vancouver, transposes the faux reporting focus to South America. The story tells of a once-hot radio journalist (Eric Bana) and his technician (Ricky Gervais) who, when tasked with reporting on a rebel uprising in Ecuador, fake their own kidnapping, pretending to be on the ground while actually “reporting” from the comfort of a hideout above a New York City restaurant across the street from their station. As their false reports of the conflict escalate, so does the world’s response to their situation, which ultimately forces them to sneak into Ecuador and find the rebels they’ve been reporting on. Bana initially rose to fame as a comedian in the early 1990s, appearing in television sketch comedy series Full Frontal and in his own short-lived self-titled show on Seven. Reviews for the French original were middling. 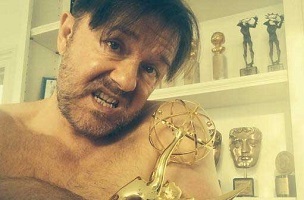 But there’s no doubt, especially if Gervais properly ties in the social media age’s tendency to run with unverified info, that this could be comedy gold.